Besties, buds, pals, peas in a pod, you can call them by any name and apparently any time because best friends are a necessity. You just can’t imagine life without them. Having a true blue friend is like having a soulmate. One who you can count on during a crisis, who stands by you through tough times and would always come up with something funny to lighten up your mood. Because that’s what friends are for. They are selfless and make you feel better without expecting a favor. 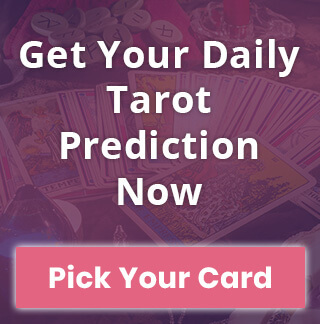 Read Your Free Horoscope Today! 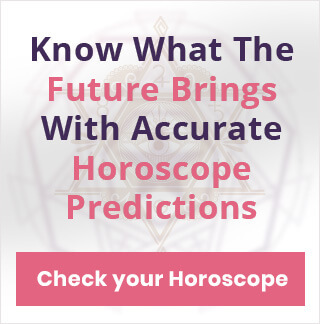 Companionship is an important aspect of life much like, career and love and a lot of prominent Astrologers from around the world have analyzed this very closely. They believe planetary positions and star alignment have a critical role to play here. And this is where horoscope and zodiac signs come into the picture. After all, your personality is what attracts people towards you. Each zodiac sign is unique and has a specific set of characteristics, therefore, it’s only obvious to imagine they would get along with everyone differently. But, every zodiac has that one perfect match that makes their best friend as per Astrology. Let’s find out who is yours! The Rams may be independent but they sure like to have a warm company who can enjoy the similar interests with them. Sagittarius fits perfectly here as they offer appropriate space and would always be up for an adventure or any recreational activity. Taureans are well organized and disciplined and they will pair best with Virgos. Both signs are practical and also would stay upbeat about anything that involves planning. They are avid food lovers so there’ll be hanging most of the times either in a fancy restaurant or an eatery. Since you people are highly social, there is no better companion for you than the Geminis. They are great conversationalists and know how to get along with people just so easily. They’ll be your partners at the gym, plus one at weddings, cubicle neighbors at work, everywhere you go, you’ll be most comfortable around them. Scorpio will make the best of friends with Cancer. Two intensely emotional signs coming together might make you think they would always err on the side of caution and would move very carefully but it’s rather contrary. These two will have the best time together. All Leo wants is attention, they would just do anything to make people like them. Who other than a Leo itself would understand this better? Therefore, this is the only sign that can have the best of friendship with the same sign. Capricorn will be the best suit for you people as your best friend. So look no further and find a true companion in your Capricorn friend. You two would work as a team and can accomplish any task effortlessly. Then there is this intellectual compatibility between you two that will only strengthen the bond. You are unwavering, enterprising and fearless so you need someone who has the guts to say yes to everything. Aquarius will be a perfect match for you people as they are exactly like you and can turn up for anything without thinking much. Sagittarians need someone who is way too obsessed with itself and would sign up for all sorts of adventures. Leo being a fire sign is up for every challenge and loves oneself the most. Not only would you people hit it off instantly but will stay this way forever. Pisces are the right kind of people for you fellas. You seek someone who is earnest and thoughtful and Pisces are exactly like that. The best thing about your relationship with each other is the emotional clarity you two look to gain over your each other. You appear to have a best friend in Taurus and there is no particular reason as to why you guys just do so well. There is some sort of heavenly or mystic thing about you two that makes you get long just phenomenally as well. Aquarius seek verbal communication as an answer to everything, be it good or bad. You are always speaking something or the other so you need someone patient who can listen to you talking for hours and hours. Gemini is the only sign that can apparently find pleasure having a conversation with you. Your Cancer friend is more likely to be your best buddy. Both of you like to take things slow and seek stability in life. Plus you need someone who can anchor your life in the time of need and there can’t a better individual than very emotional and serious Cancer. Zodiac signs can tell a lot about our personality and our overall life, in general. You can also know your travel destination this summer based on your Zodiac sign! 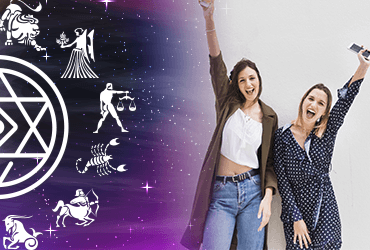 Believe it or not, but your Zodiac is an integral aspect of your life!